Berberis Lutin Rouge provides breathtaking colour in any garden. With a compact, bushy habit, Lutin Rouge will thrive in full sun to show off its bright red leaves, in shade Lutin Rouge will change colour to bright green, so do grow in a bright position. Compact and mound forming in growth, Lutin Rouge will reach a maximum height of around 50cms. 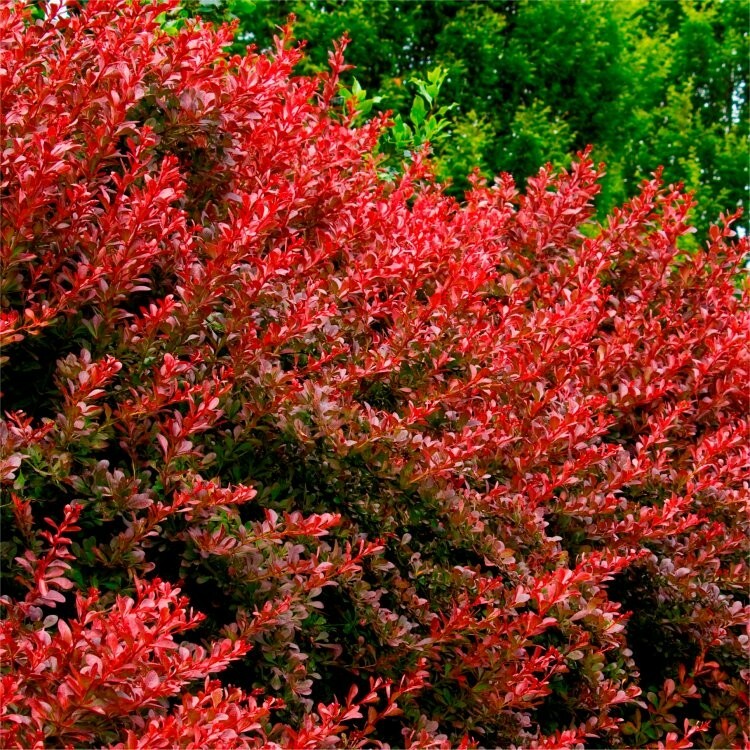 Berberis Lutin Rouge will be perfect planted in groups for landscaping or even used in mixed container plantings. In Autumn, the foliage will turn to a brilliant scarlet red before it falls for winter.